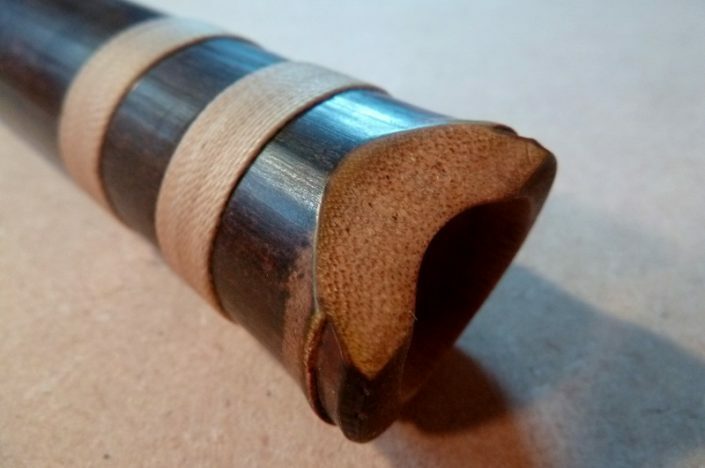 Made in a straight piece of bamboo with a cylindrical bore without insert in the utaguchi embouchure. Those flutes are similar the the antique Hityogiri Shakuhachi. 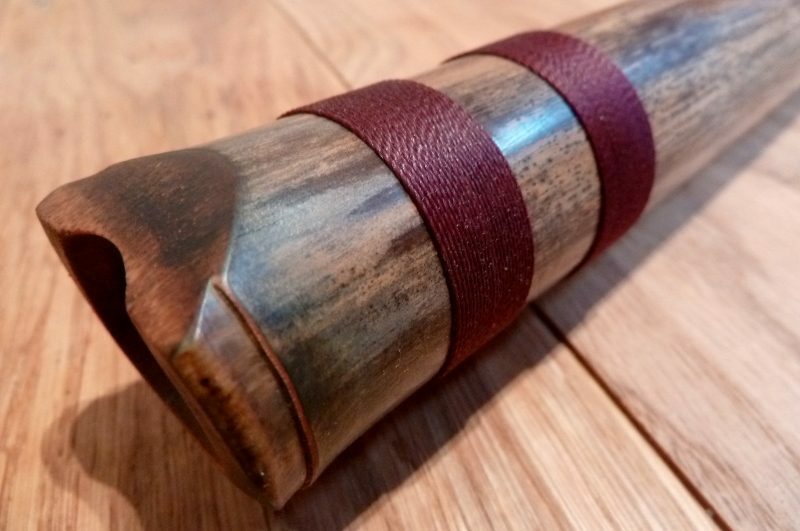 It suits well to a meditative approach or solo practice but might be limited for a real study of the Shakuhachi playing or for an advanced musician. Tone colour is very ‘bamboo’ , warm and round. More advanced in its making process, the student Shakuhachi is also made in a straight piece of bamboo (ground cut without the roots) a buffalo horn inlay is inserted in the utaguchi in the triangular kinko traditional shape. The main difference with the meditation model is its reversed conical bore (natural in the bottom part of the culm) which get closer to the bore profile of the traditional Shakuhachi and which gives more dynamics in its harmonics. 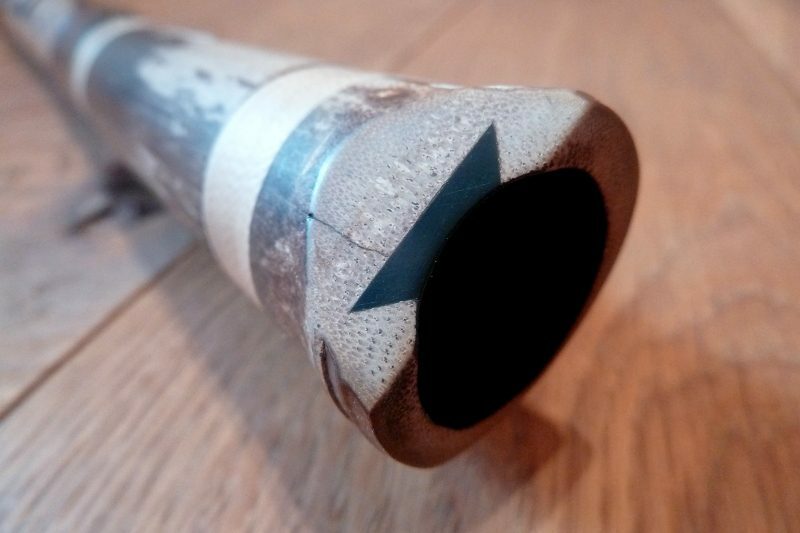 The inlay in the utaguchi gives more durability and more subtlety in its sound production. 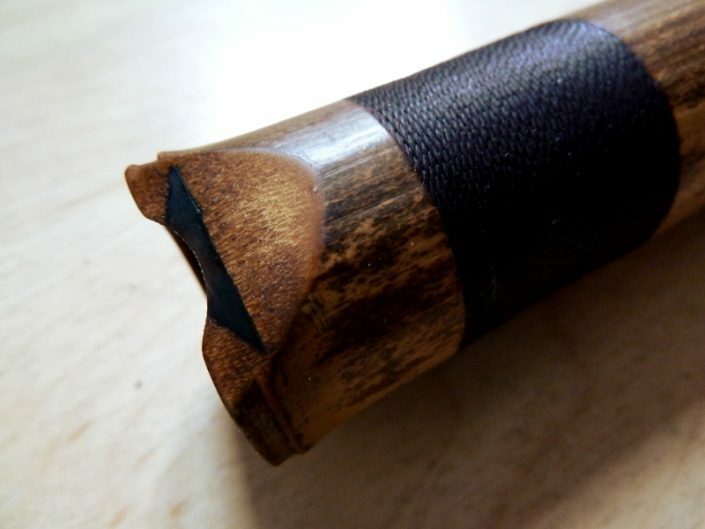 The bindings are strengthened with urushi for a better prevention of cracks. 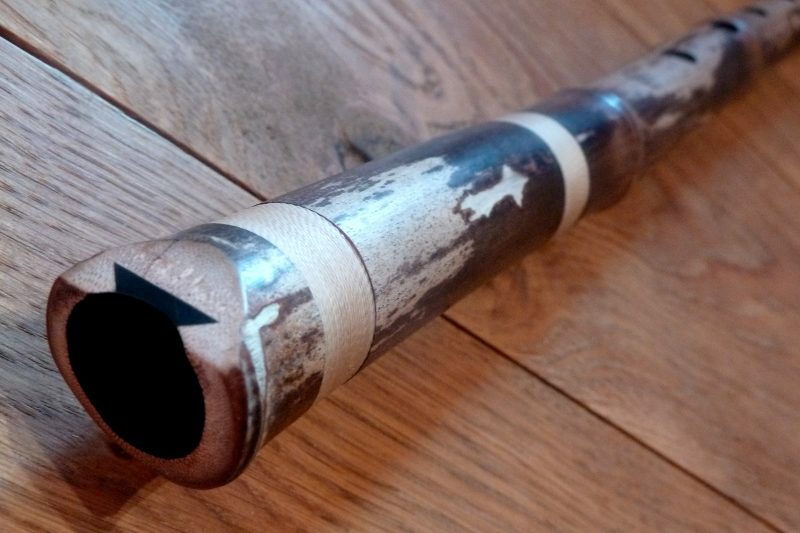 During the making process, a higher attention is given to tuning, tone and response in order to make an instrument suitable for studying. 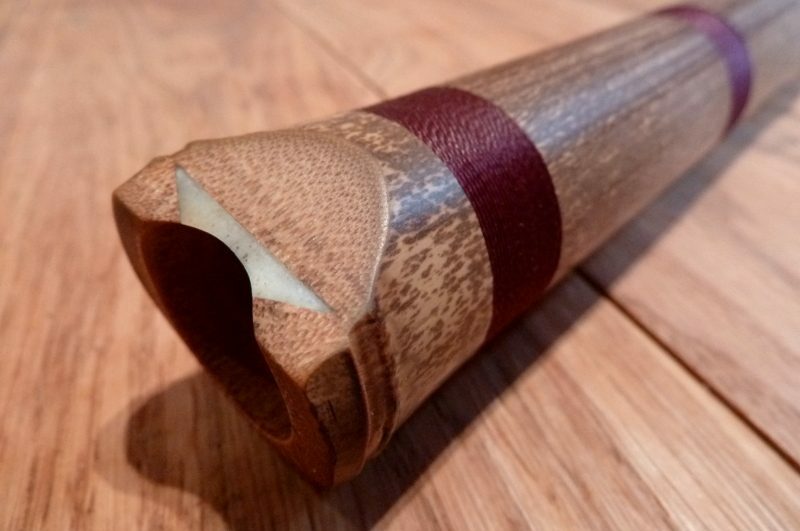 The best student models are selected considering acoustical qualities. 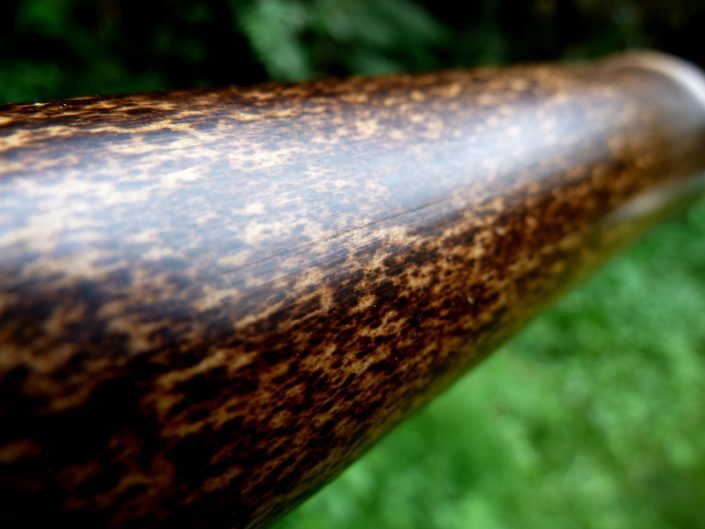 Their bore is then lacquered with several layers of Urushi. 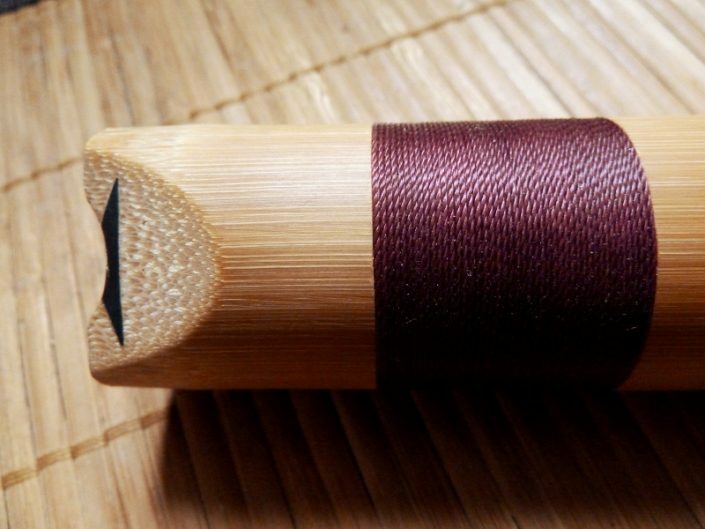 This finishing strengthen the bamboo protecting it from moisture and also enhance the sound in its general response and high harmonics. 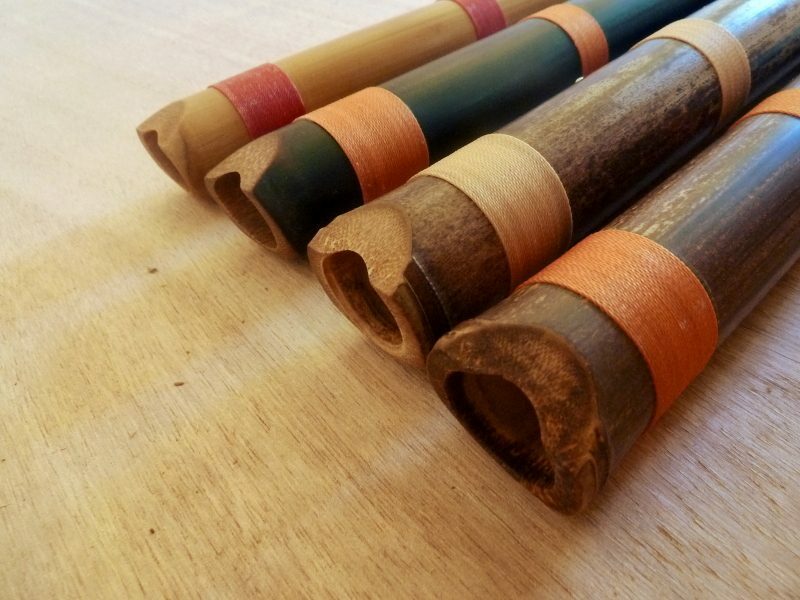 I build those Shakuhachi following the traditional method with the bottom part of the bamboo with all the roots which I carefully select, harvest and treat. 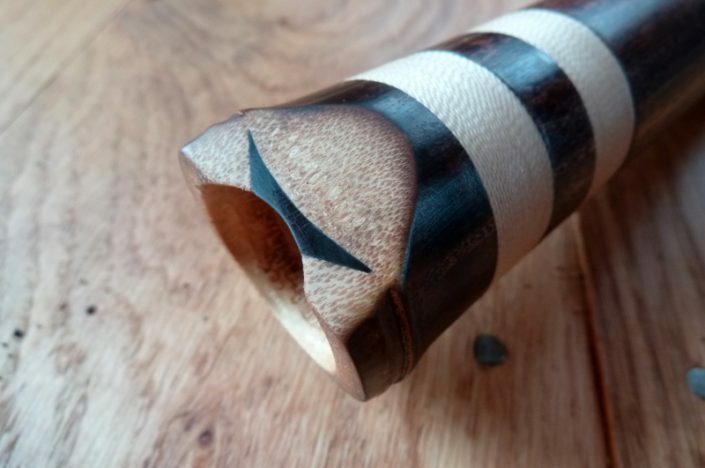 This process lasting from 3 to 5 years before starting to make the flute. The specific conical bore of this type of flutes offers much more dynamic in the sound spectrum, a more powerful tone and more accuracy in the tuning of high notes. 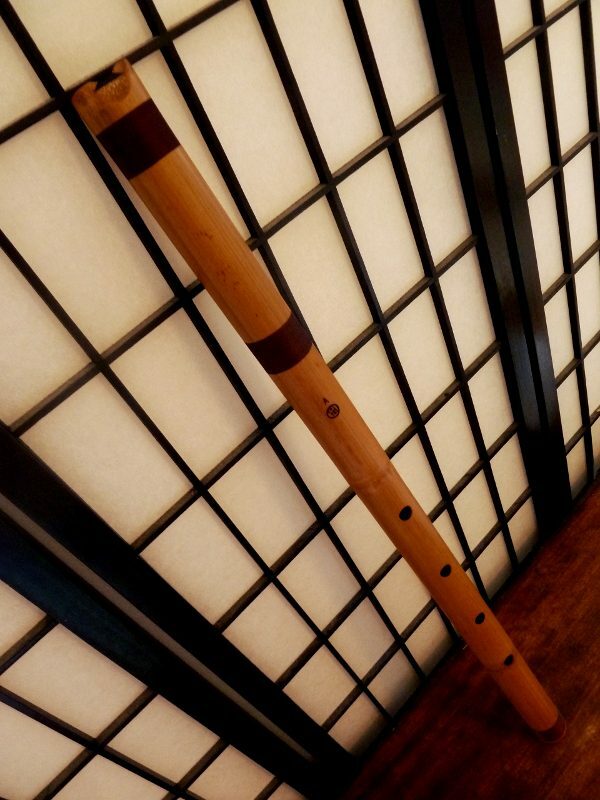 However, its natural irregularities (due to all the nodes) make the general tuning of the instrument much more difficult to achieve. 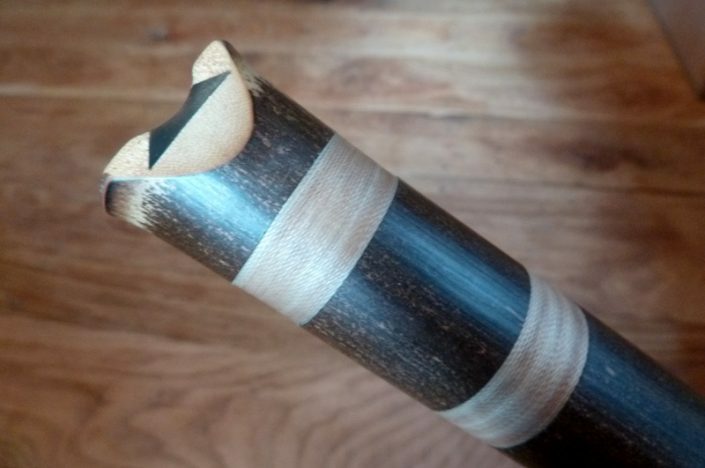 The thickness of this part of the bamboo (the root part is plain) gives space to the maker to design the bore precisely by removing or adding material. 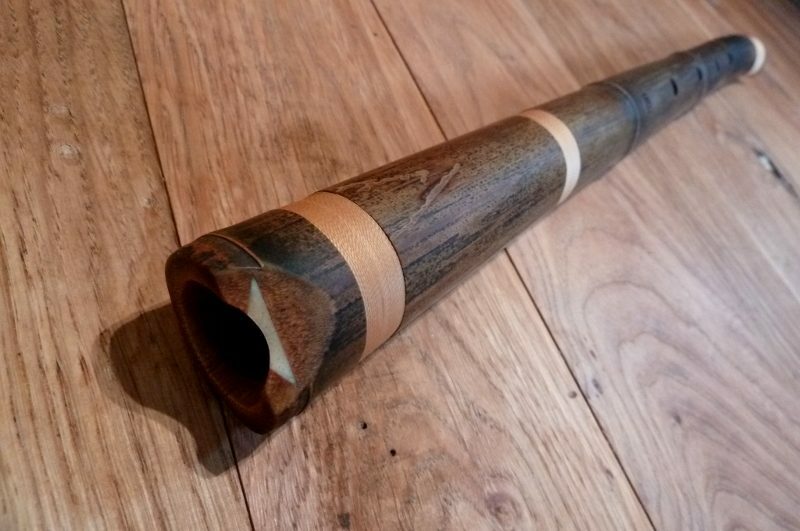 This process known as ‘bore tuning’ is really the hardest part of the Shakuhachi making where only knowledge and experience matters. 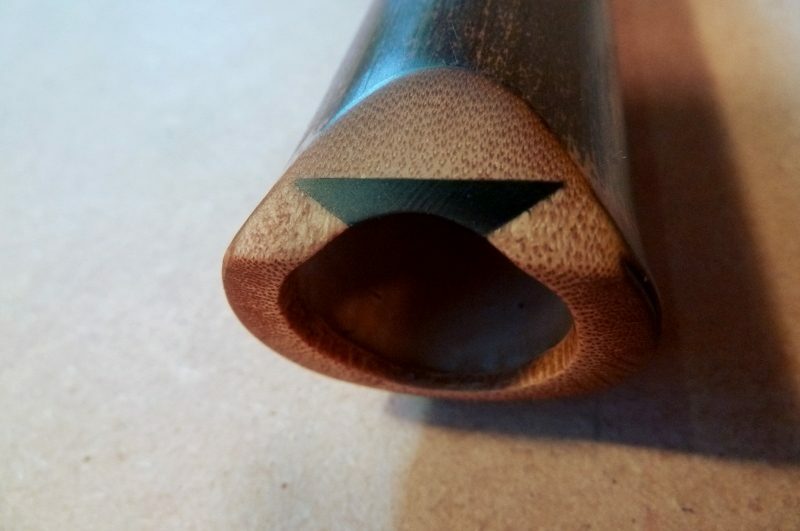 It takes a lot of time to get a good homogeneous instrument as it needs to be played a lot in order to test each note, or special techniques and correct any small default by acting on the bore diameter at some critical points. 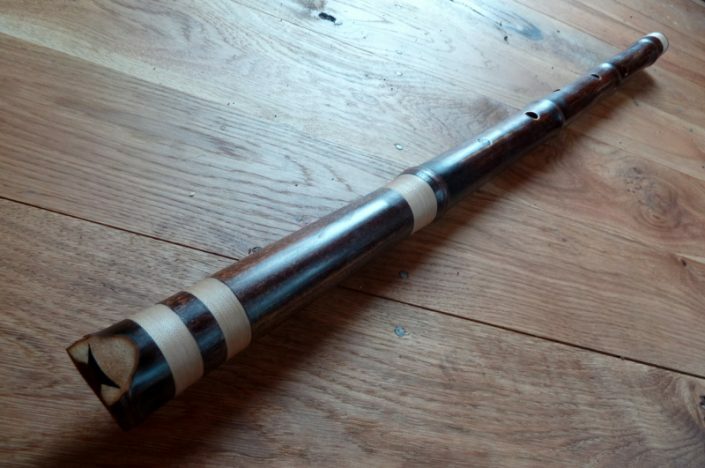 This work is very precise but mostly empirical and my philosophy about it is to try to turn the bamboo in the best instrument as possible while trying to keep it’s natural and unique sound character. 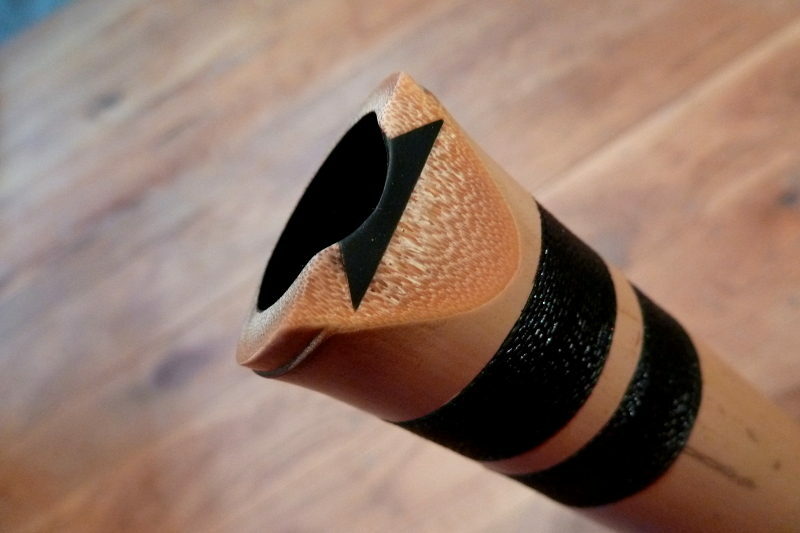 In the end, the bore is lacquered with Japanese Urushi which both protect the bamboo and enhance the sound. My Utaguchi inlays are made in the Kinko style (triangular shape). 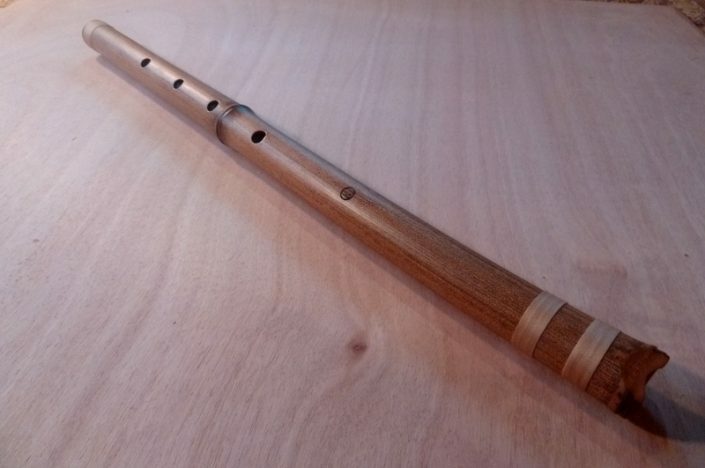 Each flute being completely unique, there are no fixed prices and I only sell the flutes in stock. 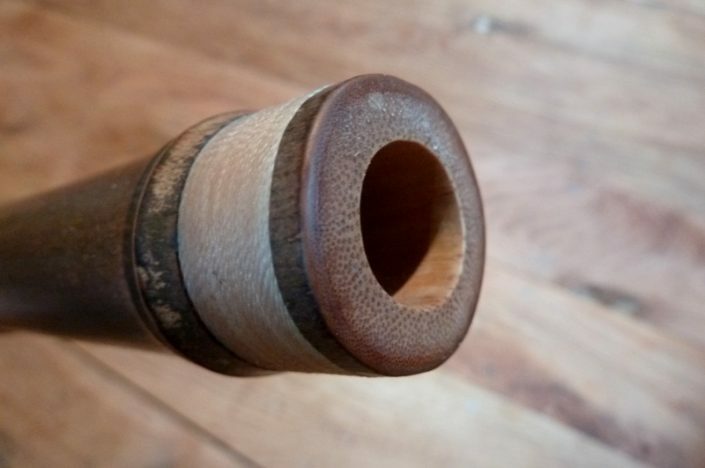 The word Ji-nashi (literally “without ji”) refers to a Shakuhachi in which the work on the bore has been done only by removing material and without any kind of filling. It is very rare to find pieces of bamboo with a natural bore profile corresponding to our acoustical expectations. The typical sound of Ji-nashi flutes is very ‘bamboo’, sweetness of the tone and roundness of the notes, it requires more flexibility from the player as it needs to be ‘tamed’ to get to know its potential and weaknesses. 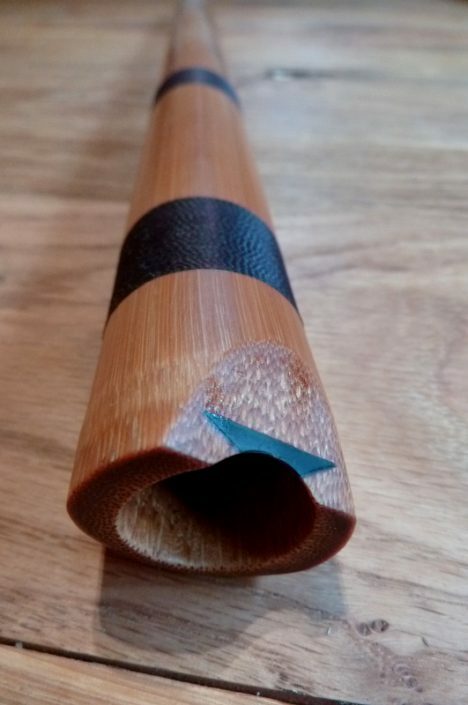 As it is very hard to get a perfectly balanced flute with the natural shape of the bore of a piece of bamboo, a special plaster called Ji (a mix of tonoko clay and Urushi lacquer) is used to fill some precise points of the bore to get the proper diameter. We cannot then define those flutes as pure Ji-nashi even if just some spots of Ji are added and the integrity of the ‘natural sound’ of the bamboo is kept. 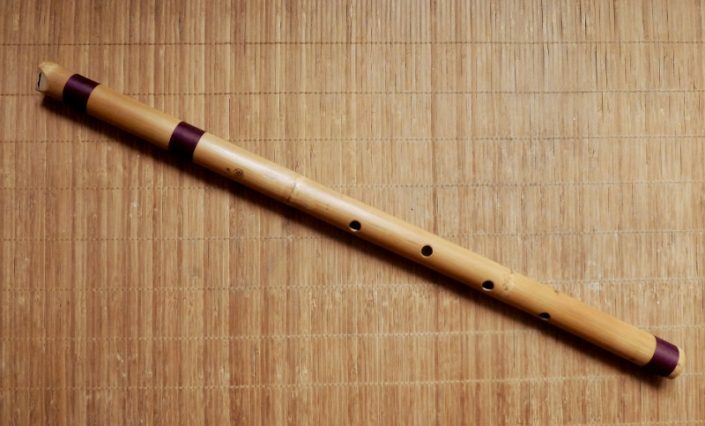 As with Ji-nashi flutes, the sound of Ji-mori is very ‘bamboo’, sweetness of the tone and roundness of the notes. 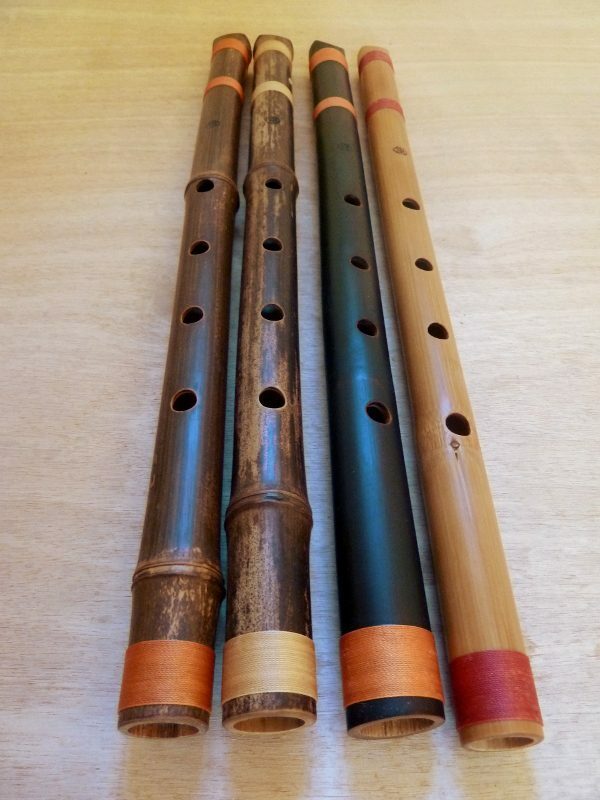 It requires less flexibility from the player as it has a better balance due to the Ji fillings. 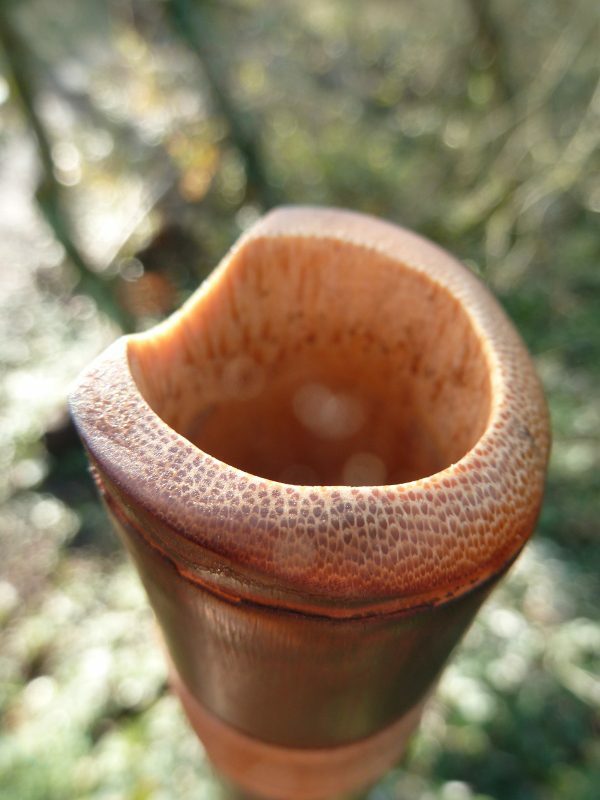 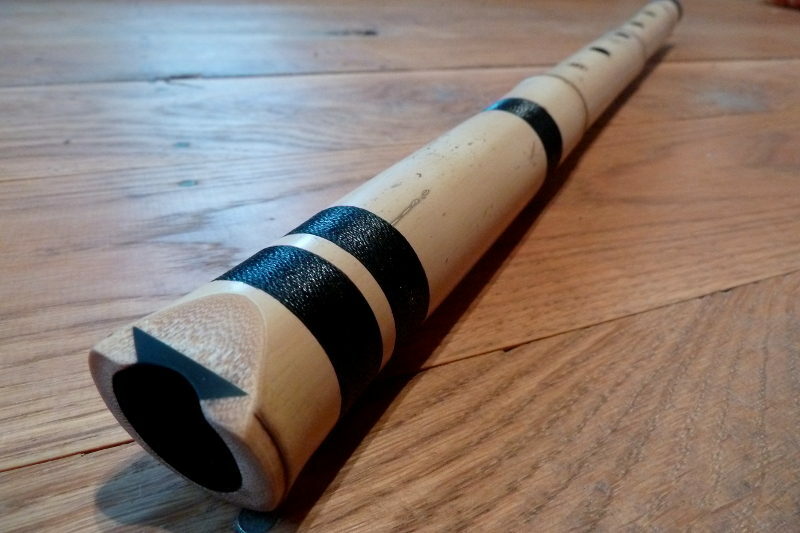 The Ji-ari type of Shakuhachi is a recent evolution in its making history. 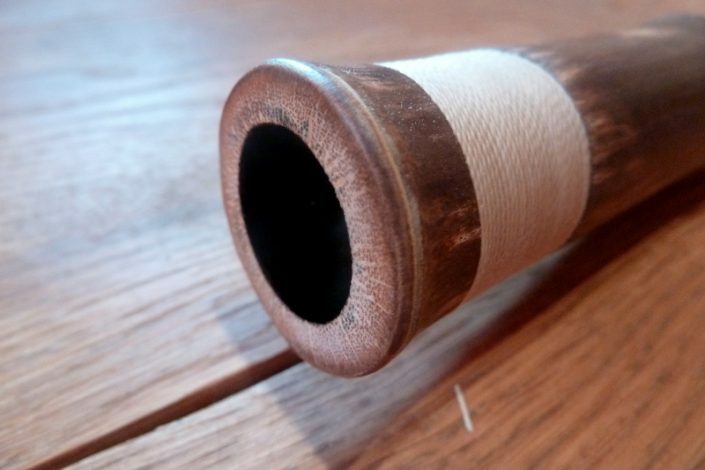 The idea is to completely control the design of the bore with the Ji plaster making it corresponding to predetermined measures. This came with the will to propose to an increasing number of modern professional players concert flutes very bright and powerful and perfectly balanced which would not require any kind of adjusting from the player to the flute. 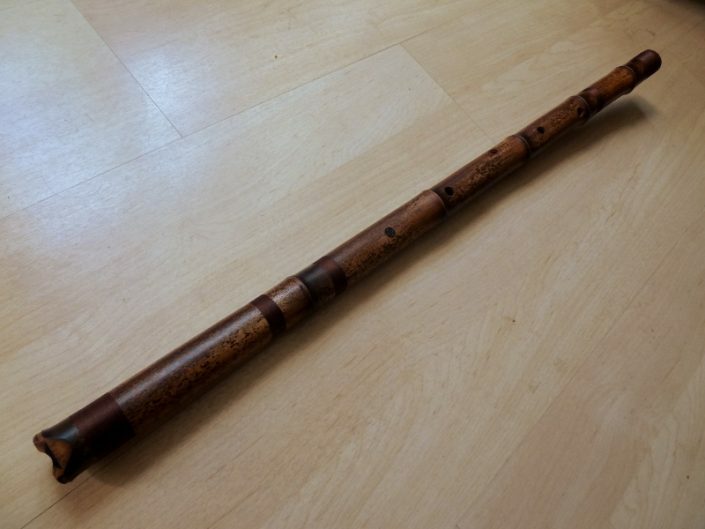 The Japanese makers started to develop this method from the early XXth century by measuring precisely the best master flutes and trying to reproduce their bore design. 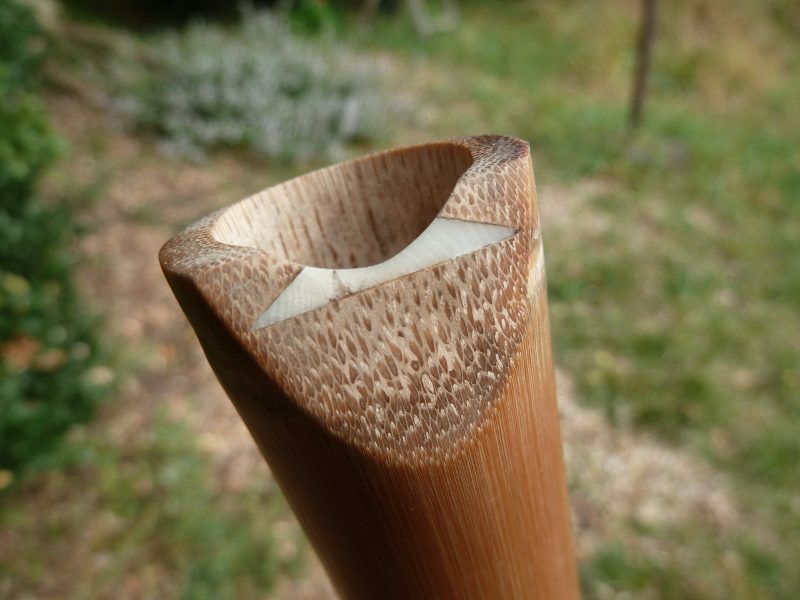 The spirit beneath is then very different in that the maker is bending the bamboo to his requirements and not the opposite. The Ji-ari flutes all comes in two parts (Nakatsuki-kan); their bore is generally thinner than Ji-nashi and finely polished with Urushi. 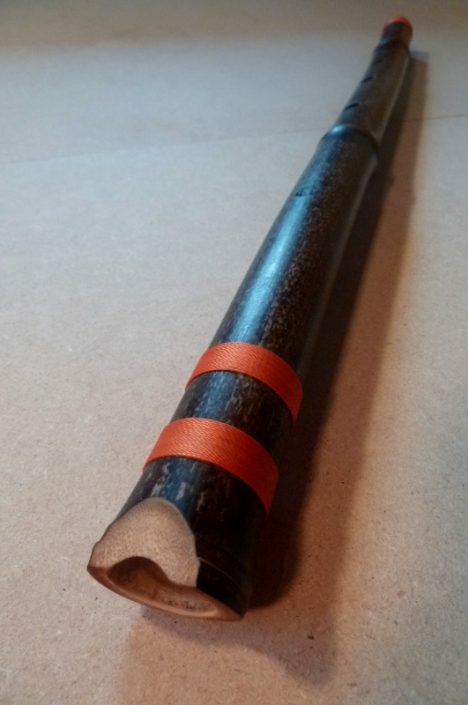 Having a very small experience in this approach, I am presently studying this type of flutes by repairing damaged Ji-ari flutes from several makers in order to measure them and understand how the bore is designed. 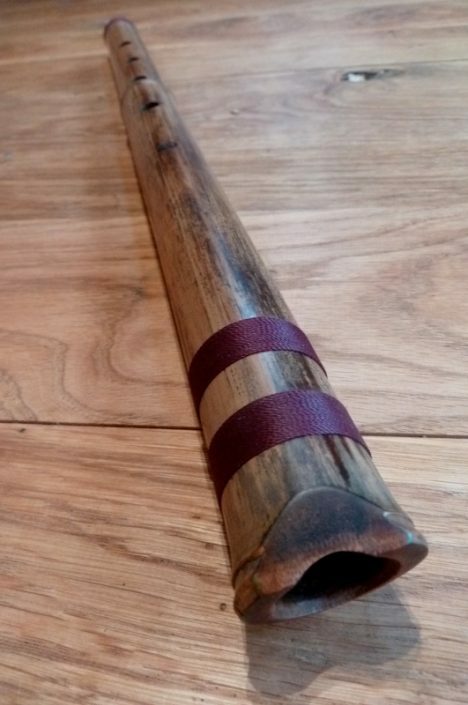 The only Ji-ari that I sell are repaired vintage flutes.